Kay Carrera sees ghosts. And when the dead turn to her for help, she just can’t say no. Mr. Peter has lived across the street long before Kay moved into her house, and over the decades the collection of old washing machines, lawn mowers, and refrigerators in his front and back yard has reached the point where it’s nearly impossible to find the front door. The man is an eccentric recluse, but how can anyone dislike a kindly person who loves old pottery and dinnerware, and slips Taco, the cat, chicken sandwiches every chance he gets? Evidently someone disliked him—disliked him enough to kill him. Was the killer one of the frustrated neighbors? Mr. Peter’s nephew? The delivery man? Or someone else? 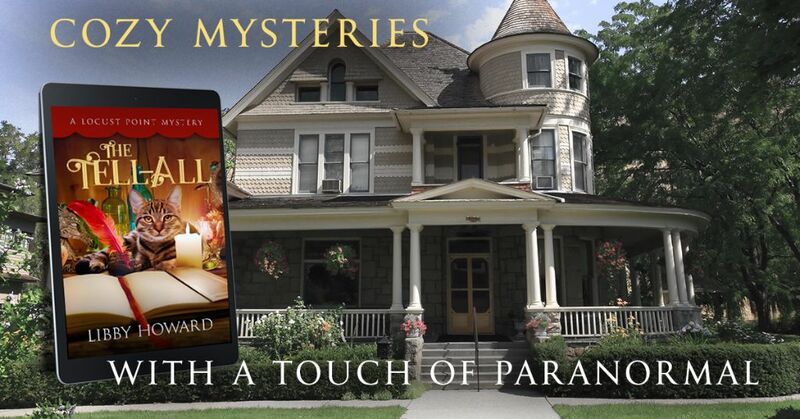 Mr. Peter’s ghost won’t rest until his murderer is brought to justice, and neither will Kay. Kay acquired a beautiful antique sideboard at an estate auction, but a ghost has unfortunately conveyed with the furniture. Her stately Victorian isn’t big enough for this additional spirit, but Kay isn’t sure who is haunting the sideboard or why. And finding out the identity and motivations of the ghost might not be enough to convince the spirit to move on. A murder, a cover-up, and a bushel full of secrets come to light, along with a guilt that carries on beyond the grave. This ghost needs a sordid past to come to light to ease her troubled soul, and Kay is determined to help. July 4th is a big deal in Locust Point — the parade, the fireworks, and the eagerly anticipated annual River Regatta. And this year local celebrity Holt Dupree will be in town, riding high on his recent draft pick for an NFL team. But not everyone loves football, and not everyone is a fan of Holt Dupree. Now the hometown hero is dead, and it seems the auto accident that killed him was no accident. Suddenly there are more suspects than anyone could imagine, and Kay Carrera is elbows-deep in the mystery. Bestselling author Luanne Trainor has come to Locust Point to speak. The writer’s arrival has the small town a-buzz with excitement but Ms. Trainor isn’t what the bio on her book’s dust jacket proclaims. 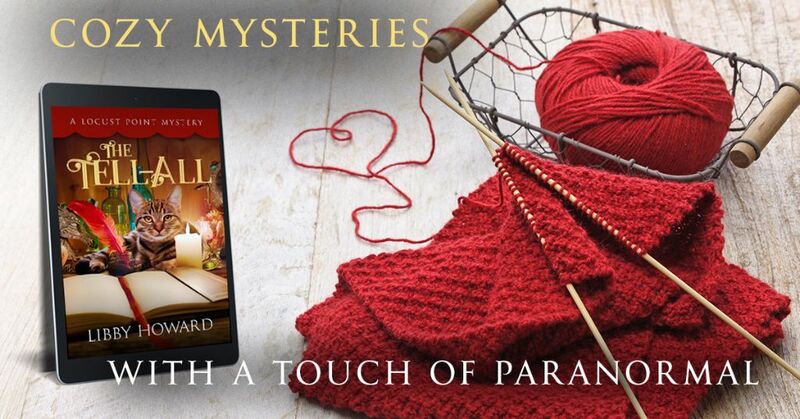 What should have been an elegant affair turns ugly with accusations and threats and there is no lack of suspects when the author is found dead following the meet-and-greet, Could the murderer be her editor? Her agent? A disgruntled fan? Or was Luanne Trainor hiding a secret that shadowed her success? Kay and a surprisingly helpful spirit are on the case! Kay’s first real case as a licensed investigator is to track down a suspected mistress and the possible hidden assets of an estranged husband. It all seems pretty routine, but when the financial trail leads Kay down a rabbit hole of laundered money and bank fraud, a boring divorce case gets interesting. 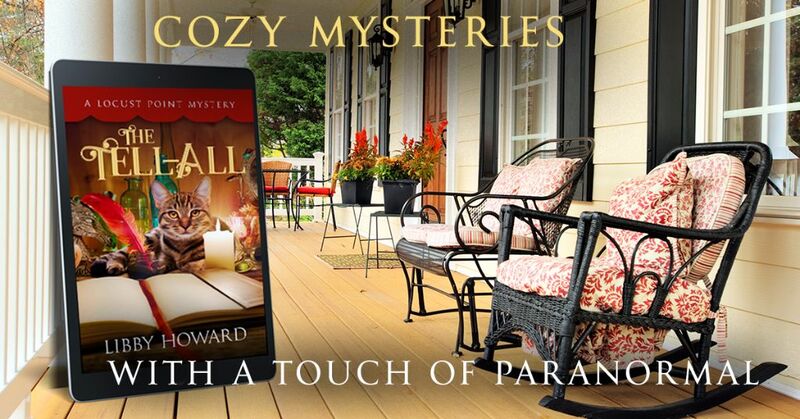 Just as Kay closes in on what seems to be the white collar crime of the century, the husband drops dead in his morning coffee—coffee that has more than just cream and sugar added to the cup! The man’s widow is the main suspect, but Kay wonders if the murder is less a crime of passion and more one of greed—or even revenge. David Driver isn’t the only one buried in his grave. 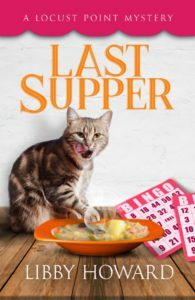 Kay’s friend Olive has a family feud on her hands over who should have inherited the only remaining plot in their family section of the cemetery. When a cousin finally gives in and agrees to relocate her son’s casket the cemetery staff discover there’s an extra body in the plot. Was the mysterious woman murdered by an ex-boyfriend? A family member seeking revenge? Was David’s grave just a convenient spot to dispose of a body, or were the two connected in some way? 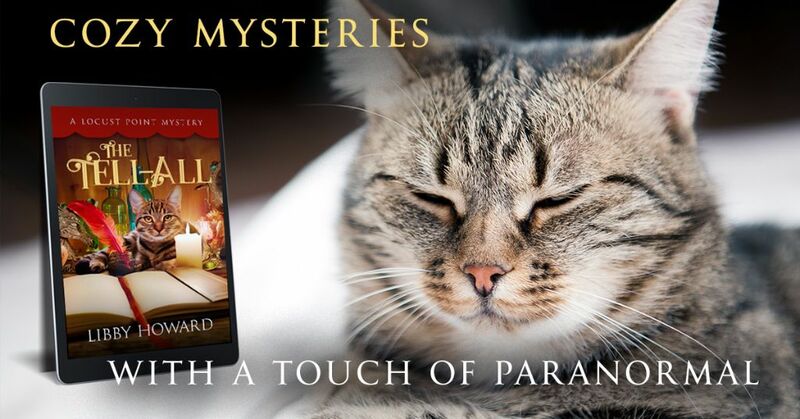 When Olive asks for her help in solving the mystery Kay jumps in to assist, and in her quest to find the killer uncovers some long buried family secrets. Who knew bingo could be deadly? When abrasive trophy-wife Stacy Mellomaker winds up dead on the floor of a bingo fundraiser few of the townsfolk are shedding tears. The doctors believe she died from an accidental overdose of painkillers, but Stacy’s ghost, as well as her sister, insist it was foul play. Kay is hired to investigate, but it’s hard to determine whodunit when the whole town is chock-full of people who all have motive for murder.